Looking for the perfect holiday gift to give family, friends, or that someone special in your life? A gift card from Anna’s Relaxation Studio will be much appreciated and enjoyed. Upcoming massage special – Any 60 minute or more massage service get 10% off. Text (614) 285-9153 for appointment. Each of our guests at Anna’s Relaxation Studio is very special to us. An acupressure massage at Anna’s can help you release stress, soothe tired muscles, refresh your mind, and most important retrieve your inner peace. Our massage will be customized to your individual needs. 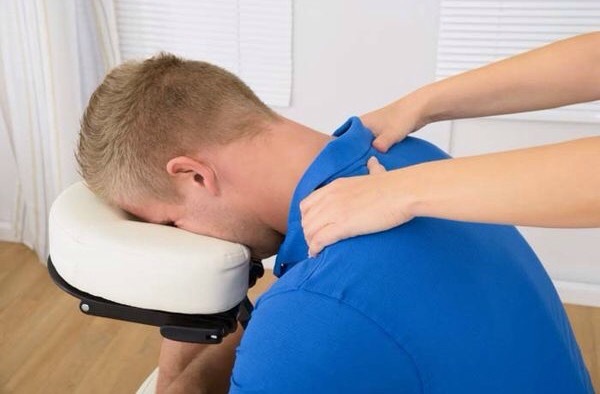 If you have any special areas of muscle tightness or pain, please let our massage technician know, we will adjust the amount of pressure applied. We believe good communication between our guest and massage technician is essential to ensuring the ultimate massage experience. Anna’s offers many different service levels and treatment times to suit your needs. Our appointments can vary from as little as 15 minutes to 90 minutes. We believe in being flexible and accommodating you. Thank you for your business, we look forward to serving you! Anna’s massage is the traditional Chinese Acupressure massage. Acupressure is a therapy developed over 5,000 years ago as an important aspect of Asian, especially Chinese, medicine. It uses precise finger placement and pressure over specific points along the body. These points follow specific channels, known as meridians – the same channels used in acupuncture. Used for thousands of years in China, acupressure applies the same principles as acupuncture to promote relaxation and wellness and to treat disease. Sometimes called pressure acupuncture, acupressure is often thought of as simply acupuncture without the needles. Anna’s massage can help you release stress, relax your muscle, refresh your mind, regain you power, most important retrieve your inner peace and refind your balance. Please call (614) 867-5332 for an appointment. Thank you! Do you have joint pain? Do you have sinus problems? What about low back pain or scoliosis? Are you looking for the underlying cause of your pain? Technician Yuan Zhao, provides a holistic alternative for pain relief and prevention. The focus is treatment, relief and prevention of chronic pain. 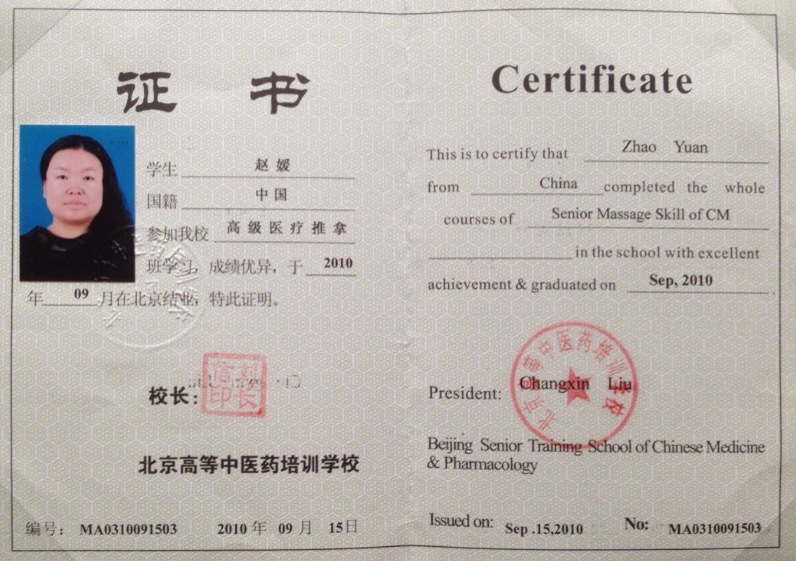 She got her traditional Chinese massage therapists certificate from Beijing University of Chinese Medicine, and also examination by the Federal massage. Some of the modalities that may be used are: Chinese Massage Cranio-Sacral Therapy, Myofascial Release, Trigger Point Therapy and Sports Massage. Has over six years of experience to help you feel more relaxed and more comfortable. Please call (614) 867-5332 for an appointment. Do your feet feel hurt and tight? Your feet will be put in warm Chinese medicine water for 5 minutes to make your feet feel relaxed. Then I will do a foot massage. The principle of Reflexology is “reflex areas”on the hands and feet which correspond to other parts of the whole body. Using compression touch on these specific areas improves overall circulation and helps the person relax. Please call (614) 867-5332 for an appointment. Do you have neck and shoulder tightness or pain? You just need to give yourself a little time and come to Anna’s Relaxation Studio to try a 15-Minute Chair Massage. Yuan Zhao will work out the knots in your shoulders, and give more pressure on the knots, to make you feel better. Very effective and professional. Please text (614) 867-5332 for an appointment. Anna is waiting for her new relaxation studio coming out. We finally chose a good location , which is very close to where Anna used to work. 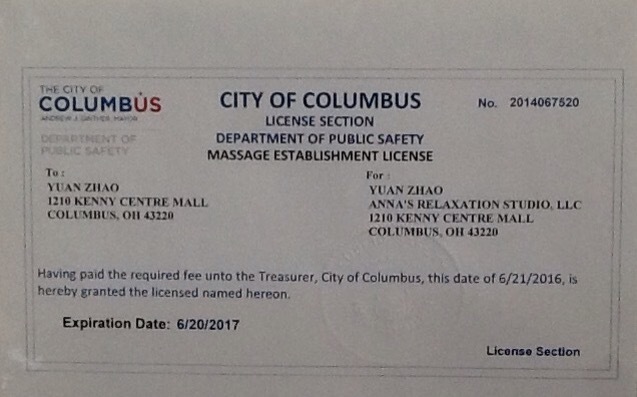 Anna will provide professional Chinese accupresure massage. A good massage can help you relief stress, reduce body pain, improve symptoms of depression, relax and soften injured,tired,and overused muscles, release endorphin, rebuild immunity – the body’s natural defense system. So every body deserves a massage. ARS-Anna’s Relaxation Studio will also provide alternative health care tips, yoga, tai-chi, and qigong classes, art therapy and designer, althele, elderly people discount. Our little studio will not only provide you a cozy relax and comfort zone, it also will be a artsy space to present your art work, catch your inspirations, communicate with friends and a tranquility place to do meditation and find your inner peace. We will update our blog periodically. Collect customer feed back. Distribute massage and accupresure news and trends. Please stay tune.